I love listening to music while driving but what I don't like is not being able to listen to my iPhone in the car. Let me explain. Yes, I am ABLE to listen to my iPhone in the car but when it comes time to change songs, I have to grab it either off my lap or the drink holders in between the seats. Then I have to take my eyes off the road in order to hit skip etc to get the song that I want. It's not a very safe thing to be doing so I typically do not and just stick with a CD or the radio. 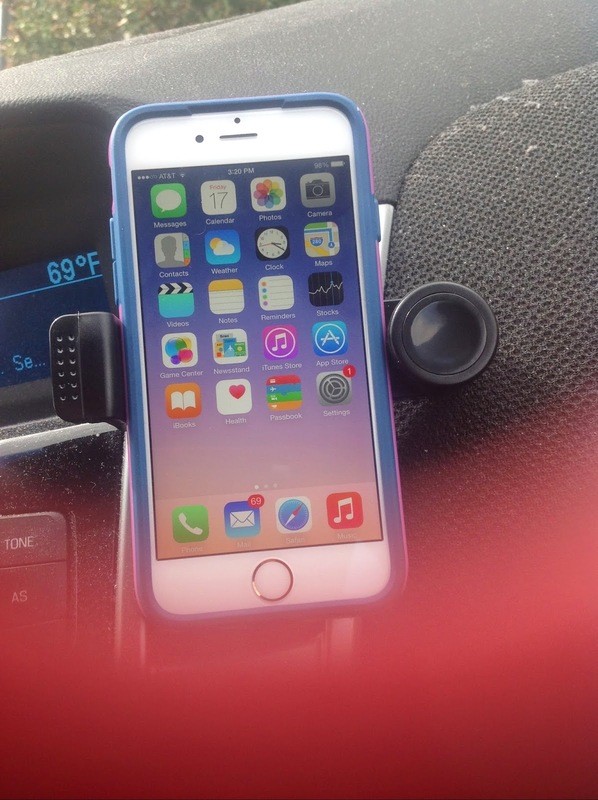 However I recently was able to review a cell phone mount that would soon change all that. I received The Ultimate Mount - a universal air vent car mount. Upon arrival, it was packaged nicely and came undamaged. The mount is very light weight which I feel is great because I don't think I would want to use a heavy item that it meant to fit on a car air vent. I wouldn't want it to cause damage to my car. 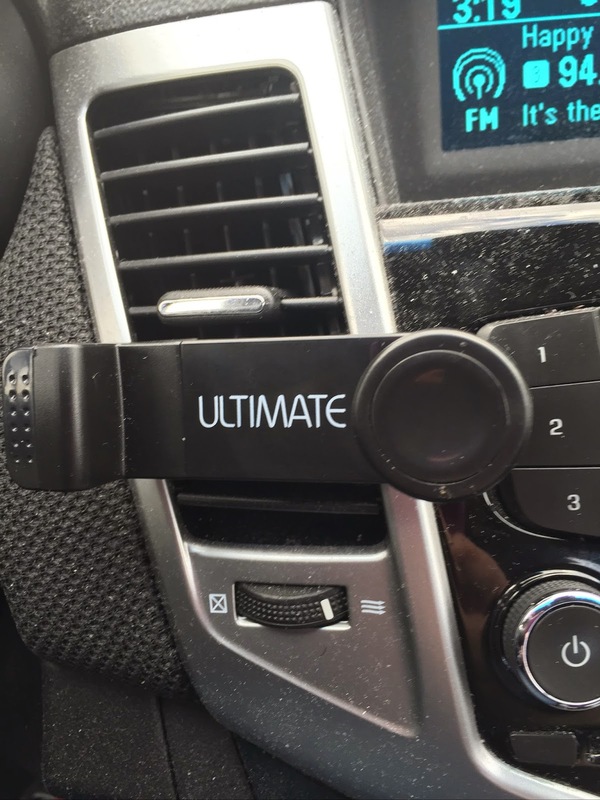 The Ultimate Mount claims that it will fit almost every car air vent and fits most cell phones. I have a 2011 Chevrolet Cruze and the mount fit with no issues. On the back of the mount is a cone shaped flexible piece that will easily open to fit your car air vent but also grip tightly around it. It is to fit most cell phones as well. I have an iPhone 6, which is not a small phone but it fit inside the mount perfectly. The mount works by just pulling it apart (it's spring loaded) to adjust to your phones size and the tightly grips around the phone. You could likely use this for other types of devices like a GPS if it fit but I haven't tested that possibility. Once the mount was on the vent and my phone was placed inside, it stayed put with no issues. It never moved from driving, taking turns or even with hitting some bumps in the road. I have been greatly appreciating the fact that I can listen to music in the car again via my iPhone! The mount is up high enough that I can see the list of songs and push what I need to on my phone without having to take my eyes off the road or having to shuffle around with a phone in my lap etc.